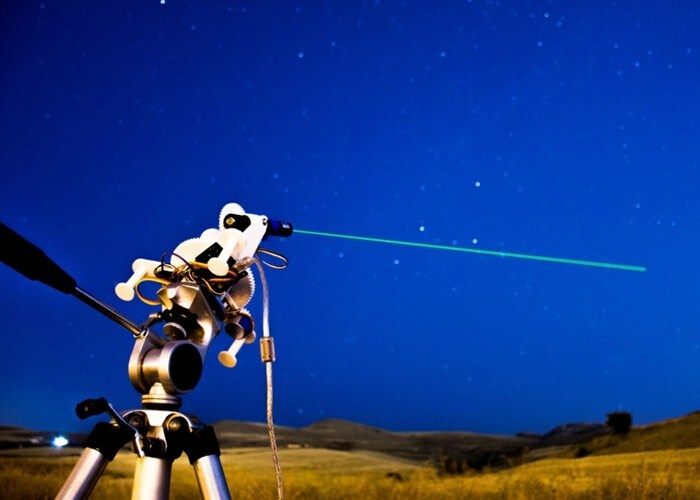 Using a little Arduino hardware and programming maker and astronomer Görkem Bozkurt has designed and built his very own telescope mount which has been inspired by the GoTo telescope stands, and is capable of tracking and pointing to interesting objects in the night sky. The project aptly named Star Track has been built using Arduino Uno and Nano development boards together with a few 3D printed parts to create the structure and gears for the two stepper motors, the gyroscope and an RTC module. Watch the video below to learn more about the Arduino Star Track and see the project in action. Bozkurt explains a little more about the inspiration and construction of his Arduino star pointer and tracker. Many computerized telescopes have a type of telescope mount and related software which can automatically point a telescope to astronomical objects that the user selects. Called GoTo mounts. Like a standard equatorial mount, equatorial GoTo mounts can track the night sky by driving the right-ascension axis. Since laser pointers are a perfect way to point stars, I thought a laser pointer with a GoTo mount would be a perfect tool for locating stars and to track them. After aligning the RA axis with the North Celestial Pole, an Arduino connected with an RTC should be able to calculate and track RA with sidereal time. And you can adjust the two axes to the user input from a computer via serial. But first I had to find a way to precisely point the mount to given degrees. The main idea was to use step motors and give them a specific step to take. But after a few tests that was not totally accurate. Instead, I used a gyroscope placed on the laser pointer to track the degrees on the two axes, this way I was able to send a command to the step motor to start and stop the movement if necessary.